Which Disney World Dessert Party to Attend? Home » Dining » Which Disney World Dessert Party to Attend? There are a bunch of Disney World Dessert Parties that you can add to your Walt Disney World vacation. 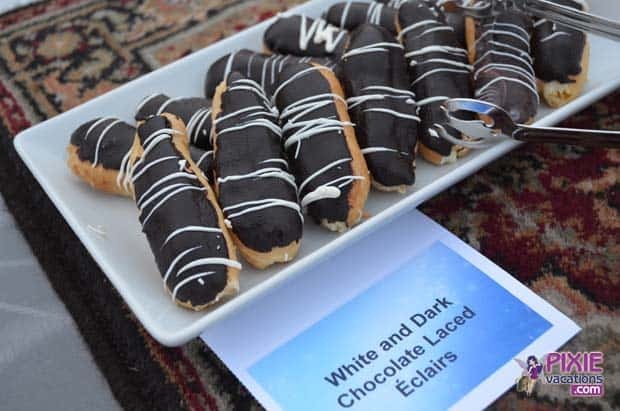 We go to each Disney dessert party to give you the scoop on which dessert party is the best. Let’s start with the Magic Kingdom. The dessert party at the Magic Kingdom has a Tomorrowland Terrace dessert part and a Garden Viewing Dessert Party. We like the Garden View dessert party best out of these two. The Tomorrowland Terrance party is covered, which is nice for bad weather, but the fireworks view from the Terrance is not as good as the view from the Garden View area. Also the Magic Kingdom Garden View dessert party is less expensive than the Tomorrowland Terrace party. Be sure to listen to our full one hour Disney podcast where we cover every Disney World dessert party and the pros and cons of each. This is a dessert party on the Magic Kingdom Ferry boat on the seven seas lagoon. The party is $99 per adult. The latest Disney World nighttime fireworks show has a great deal of other effects like projections. So I don’t feel like you are going to see major parts of the show from a ferry boat. Your best view is inside the Magic Kingdom. We have setup Disney World Groups with private Disney Dessert Parties at EPCOT and other Disney parks. If you have a group of maybe 20+ people and would like a private area to watch the fireworks and have desserts, we can setup a private event for you. 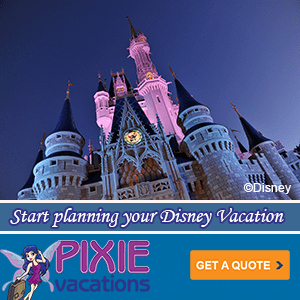 Contact us at Pixie Vacations, 678-815-1584 and we can take care of your Disney group. This dessert party at EPCOT is unique because it comes with alcohol and also a VIP ride on Norway’s Frozen Attraction after the park closes. 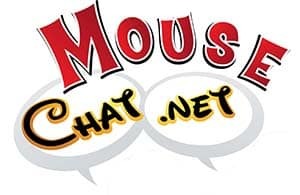 Disney Hollywood Studios, Special Events, and other dessert parties are all covered on our Mouse Chat podcast, so be sure to listen before planning your Disney World trip.